Teenage Sara. 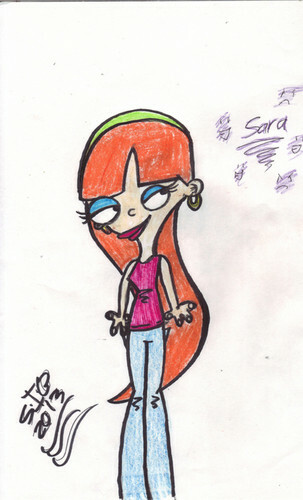 This is my interpretation of what I think Sara would look like as a teenager about 16 hope you like it ;). Wallpaper and background images in the Ed, Edd and Eddy club tagged: eddy ed edd n eddy edd n ed sara. This Ed, Edd and Eddy fan art might contain anime, comic book, manga, and cartoon.